Hands Off Syria - Take action against U.S. intervention! 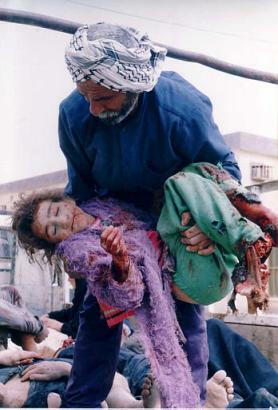 The Iraq war took far over 1 million Iraqi lives. Now the U.S. government is using essentially the same rationale to attack Syria. Washington is on the march toward yet another war of aggression in the Middle East, this time targeting Syria. The ANSWER Coalition is calling on organizations and individuals to take to the streets in opposition to what would be a destructive and criminal war by the U.S. government. See a list of demonstrations around the country and fill out our Event Listing form so we can help spread the word! The U.S. 6th Fleet has deployed war ships to the eastern Mediterranean and is threatening to launch missile and air strikes against Syria. Not only are the White House and Pentagon openly threatening direct intervention, they are also moving to further arm the Syrian opposition. A U.S./NATO attack on Syria could well lead to a wider, regional war with grave and unpredictable consequences. The pretext for attacking Syria is the allegation that the Syrian government used chemical weapons last week in the suburbs of the capital, Damascus, just after a UN team had arrived in the country to investigate an earlier alleged use of chemical weapons. President Obama declared over a year ago that the use of chemical weapons by the Syrian government would cross a “red line,” triggering U.S. military action. The idea that the Syrian government would launch a chemical weapons attack exactly at the moment when the UN team was in the country investigating chemical weapons defies all logic. In a sign of their total disregard for the truth, the United States government has declared, in advance of any actual investigation, that the Syrian government is guilty of using chemical weapons. U.S. officials have stated that the United Nations weapons inspection team, which is today at the site near Damascus where hundreds of people died last week, is “too late.” In other words, the United States, along with Britain and France – the former colonizers of the region – have decided to use chemical weapons as an excuse to go to war. We must remember the Iraq War in 2003, where “overwhelming evidence of weapons of mass destruction” was used as the pretext for a war that killed hundreds of thousands and tore Iraq apart. No such weapons were ever found. If in fact chemical weapons were used in Syria last week, the far greater likelihood is that it was a staged provocation by the opposition to invite U.S./NATO intervention in order to save their weakening military position in the conflict. We have no reason to trust the U.S. government’s version of what happened. This is the same government that has routinely lied and deceived the American people on many issues, as was recently revealed by Edward Snowden’s leaks related to NSA spying. U.S. foreign policy is not one of benign humanitarian concern, but one of Empire. Washington’s goal is control of the entire oil-rich and strategic Middle East region. To achieve this aim, U.S. leaders – Democrats and Republicans alike – have worked to destroy independent governments and popular movements in the region for more than six decades. For the people of the United States, fighting against a U.S. intervention in Syria is of paramount importance to prevent the spread of war and destruction. The ANSWER Coalition is calling on all those opposed to this brutal war drive to take action against any U.S. attack on Syria! A broad coalition of organizations worked together in June and July 2013 for days of action opposing the U.S. role in Syria. We expect that the actions in the coming days and weeks will be of a similar unified character. Don't see the event in your city listed? Fill out our Event Listing form so we can help spread the word! at Lake St. & Hiawatha Ave.
Click here to see a list of day of/day after protests in the event of an attack and an archive of past actions.